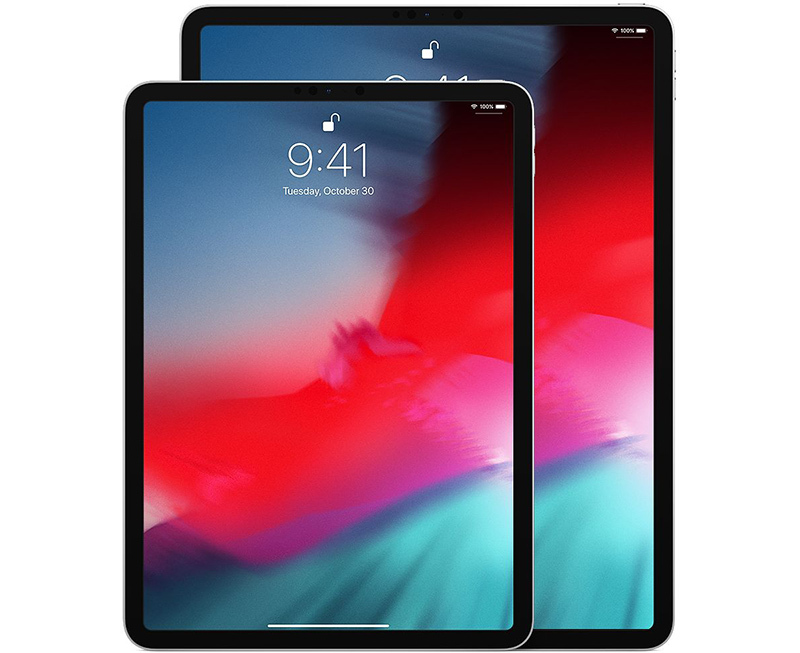 Apple marketing chief Phil Schiller and Apple chip expert Anand Shimpi, who created AnandTech, recently sat down for an interview with Ars Technica to provide a walkthrough of the A12X chip in the iPad Pro and some insight into Apple’s chip development techniques. The A12X is an 8-core chip with four performance and four efficiency cores, all of which can be active at once. The iPad Pro is the first iPad able to use so many cores simultaneously, and you’re going to see major gains over the A10X when running heavily-threaded workflows, according to Shimpi. The GPU in the iPad Pro is the first 7-core implementation of Apple’s custom-designed GPU, Shimpi told Ars Technica. Each core is “faster and more efficient” than the GPU in the previous-generation A10X, leading to 2x improved graphics performance. “It’s unheard of in this form factor, this is really an Xbox One S class GPU,” said Shimpi. With more memory bandwidth, the GPU is faster than what you might get on the iPhone with workloads that are able to take advantage of a 2x bigger memory subsystem. According to Shimpi, Apple takes content from the desktop, profiles it, and uses the data to drive its GPU architectures. On the topic of why Apple designs its own custom silicon, Shimpi said the company wants to make sure it can deliver “whatever vision” it has for a given product, while Schiller says that Apple keeps pushing for more performance not because Apple is competing with other companies, but because employees are passionate about making things better for users. What do we think we can do? It becomes this incredibly self-perpetuating thing. When you realize you can create a Neural Engine, you want to create a better Neural Engine! You realize you can create great graphics, you want to create even better graphics! And it just accelerates. It picks up speed within the organization. If you’re a team that makes an incredible, great Apple-designed A-series chip, well, next year you want to make an even better one, right? That’s your passion. That’s what you see across all Apple, is teams that take responsibility for their things are so passionate about making that thing better and better and better. It doesn’t even matter what anyone else is doing. Apple’s success with creating high-powered chips can be attributed to the way teams inside of Apple work together on an ongoing basis, says Schiller. Schiller and Shimpi declined to talk about Apple’s future plans for its custom chips, but there have been multiple rumors suggesting Apple will eventually transition its chips from mobile devices to the Mac, with the change to happen as soon as 2020. Ars Technica has a much deeper look at the A12X that you’re going to want to read in full over at the site if you’re at all interested in chip architecture and Apple’s future chip plans.